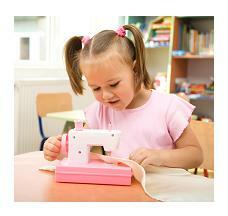 Sewing crafts for children love making stitches! What? You`ve never tried it before? Ok mum, dad, and teacher. What I have in mind are not too complicated for you. Pom poms, hearts and bean bags are about right to start with, or maybe even a fabric collage. It doesn`t really matter how higglety pigglety the stitches are, as long as the pieces are attached to the background fabric. Did you know making pom poms can help you learn to sew? When you see pom poms you can`t help thinking about those "ra ra" team leaders. But pom poms can be used for lots of arts and crafts. You can attach them to a favorite hat or scarf, or you can make funny animals with them. Iain and James stuck tiny yellow ones onto their paradise collage making them into chicks and then drew in the legs and beak. Babies love pom poms. If you are expecting an arrival any day now why not make some pretty pom poms for the baby`s cot or pram? Or give them as gifts. 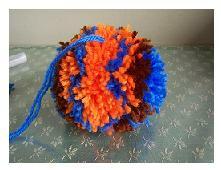 You could make your own team leader pom poms using the same principle but on a larger scale. The KKC team like to get adventurous so look out for that! But as we already know, boys don`t do team leader stuff, do they? But they don`t mind showing you how! Great! Now you are ready to try your hand at making a heart. Make a heart template from paper. Take a piece of your favorite fabric from your sewing crafts box, big enough to fit the heart pattern when folded. Fold the fabric in two with the right face on the inside and pin your heart pattern onto it. Be careful with the pins. Then cut around the heart. Take out the pins and remove the pattern and pin the fabric heart together. Now you are going to stitch around the outer edge. Tack stitch is easiest so we will use that, but it needs to be small enough to hold the heart together. Leave about a 1 1/2 centimeters open. Turn the inside of the heart out so that the right side is showing and your seam is now inside the heart. Now for the stuffing! You can use cotton wool, cut up sponge or your mums old but washed pantyhose, or tights as we call them here in England. When you have stuffed it enough then tack stitch to close the opening. We are ready to decorate! 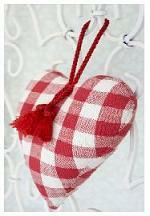 Get some lace, ribbon, mini hearts, buttons felt, anything you like to stitch onto the heart. Lace always looks nice as a trimming all around the edge. You can now stitch a piece of thin ribbon for hanging the heart. Sewing crafts are fun because you can make items like rag dolls, puppets, and sock monkeys. Yes! Here is how to make the one in the picture. 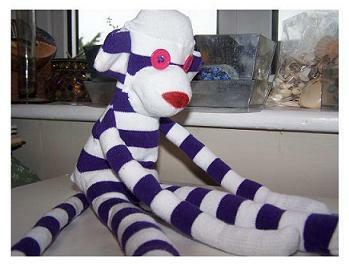 You need to get a hold of some loooooong socks to make our sock monkey version, and make sure it has a cheeky look to be certified KKC! 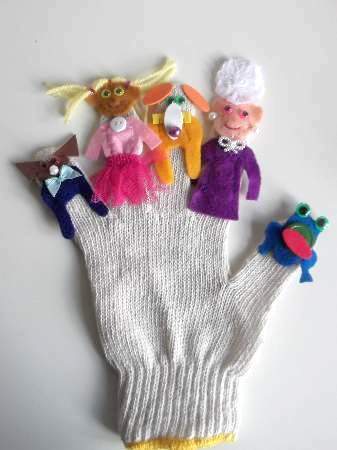 Would you like to make finger puppets on a glove like these? You can experiment and make your own characters from any scrap craft bits that you have at home. You will be surprised how easy it is as a sewing craft, and have fun as you make your puppets and see them take on a personality all of their own. Meet Eleanor. 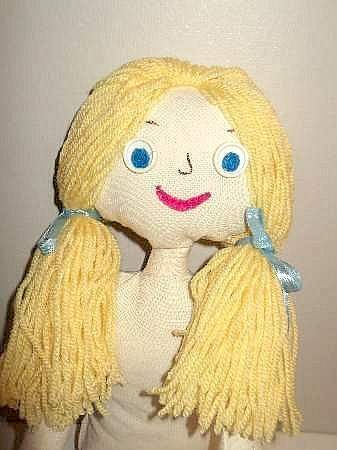 She is our KKC authentic rag doll. She is for the older ones to make but if you think you can tackle this sewing craft, then by all means go ahead. You can go on to make her clothes too and even make a rag doll family for her. But don`t forget to send their portraits in to KKC. Do you love your little brother or sister to bits but can`t stand their soft toys all over the place? Well why not make a toy storage for them as a gift? 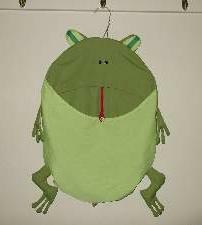 What`s kool is that you can add to it as the soft toys multiply. The storage units are cute animal characters which you can add once you cut and sew them. They could cause you to want it all for yourself!